Well, here I am again before the Lincoln Memorial, just where we stood together, you and I, after we had walked apart from the others of your class three years ago. Do you remember as I do? There were six of you students and two teacher-sponsors who had refused, tired as we were, to cut short our tour of the city because of the rain. We never regretted it, did we? 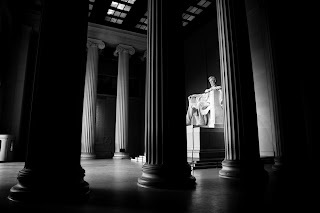 Indeed the rain itself may have provided the privacy that let us have the Lincoln Memorial for our very own that afternoon. The eight of us stood together before Lincoln’s statue and gazed into his eyes and seemed to feel a message from him across the years. Then we turned to the inscriptions on the walls and several of you read in unison first one and then the other of those immortal speeches. You were good readers, and the words so familiar to us seemed to come to life as we stood there reading, listening. Perhaps because we were a bit abashed at so much emotion, we broke into smaller groups of two or three and walked quietly out of the building onto the colonnade that overlooks the city. Across the mall we saw the Washington Monument and the Capitol. Pieces of our history seemed to fit together somehow as they never had before, just reading from a book. Your face brightened. Our conversation lightened. “I think I see what you mean,” you mused. Then together we recalled instances that proved us right: We do have those same high ideals today. We just don’t talk about them, not nearly enough. But “talking” is not the whole answer. The school teacher in me began to assert itself and we explored another idea. “You know, Rufus, not all of us have the same abilities, the same talents. Some of us could never write great speeches nor put into words the high ideals we try to live by. Some of us could never paint magnificent murals, nor carve life-like statues, nor design significant buildings, nor lay-out a beautiful city. “Yet each of these artists is an artist because he expressed ideas and emotions common to the heart of all mankind. Unless those who hear or see can feel those same emotions, want to express those same thoughts, then there would be no greatness in the artist. It is the response in the heart of one who stands in the presence of greatness that makes the man great. Do you remember the quotation: ‘Beauty is in the eye of the beholder’? So it is with greatness. Perhaps, Rufus, I did not actually say all those very words that day, but I have thought them many times, as over and over in my head I have tried to answer your question. And now – three years later – I am here again as sponsor of another class, and I see another group of young American students just graduated from high school into a world of limitless opportunity. I see them stand where so many Americans have stood before them, and they gaze and wonder and read and pass on. This time as the group breaks up I walk out onto the beautiful colonnade alone to look again a long look at the city of Washington. I think of the six students who were with us that other day and I wonder whether the experience that we shared that afternoon had even begun its work, spreading its influence through you to other lives, uplifting each of you from the common drudgery of work that must be done, to a vision of work that could be done to carry on the ideals of this great American who gave so much, who stood so firmly by his convictions of what was right. School teachers have rather vivid imaginations, you know, and as I stand here I wonder whether that moment in the Lincoln Memorial could have influenced your lives. You made a decision to become a minister, and have already put that decision into action. Don went forward with a plan to become a math teacher – “a real teacher,” he says. Marian has entered into her liberal arts course with enthusiasm for every new experience, seizing every opportunity to try new things, to find the place she can serve best. P.T. was side-tracked for awhile but now I hear that he is going on with plans to become a law enforcement officer. Wayne made a brand-new decision to go to college. Shelby made a more difficult decision to give up college, where he felt out of place somehow, and get into work where he can make a real contribution to his country, to his world. I am so very proud of all of you. They are leaving now to get on the bus. I must join them quickly, but I just had to pause here, Rufus, long enough to re-live that experience here with you and your five classmates – and to look ahead to what this day may mean to these young people, too. You see, I think my life will always be richer because of these reflections while standing before the Lincoln Memorial, and I want to fix this moment in my memory and to share it with the former pupils who continue to inspire me. 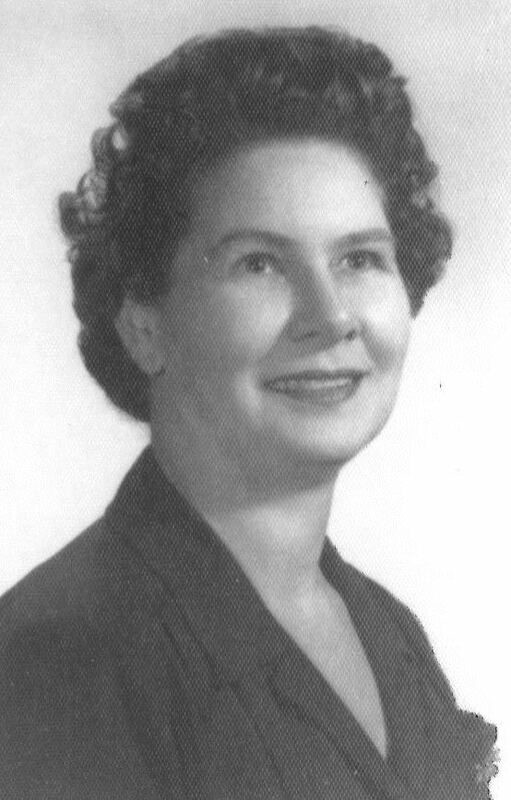 Catherine remained a teacher in Tiptonville, TN until 1987 and in 1994 was one of the first three people inducted into the Tennessee Teacher’s Hall of Fame. She still lives in Tiptonville, in the same house she’s called home for 74 years. Catherine’s son Jimmy recently unearthed this essay and the award certificate in a box of other memorabilia. Rufus Moore obtained a Doctorate of Theology from Southern Seminary and was a minister, an educator, and a Colonel in the National Guard. He passed away in 2011.